Pedo-Biometrics Lab (Carnegie Mellon University, Pittsburgh) is working on high-tech shoe insoles designed to monitor access to high-security areas such as military bases or nuclear power plants. The concept for these insoles builds on extensive research that shows individuals have unique feet and ways of walking. 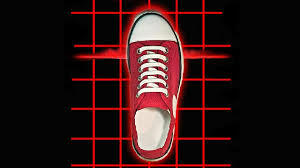 Sensors in the biometric soles check the pressure of feet and monitor gait. Its microcomputer compares these patterns with a master file for that person. By the third step, it can determine the match or not. If not, a wireless alarm triggers a message. The sensor also detects when someone is wearing another person’s shoes. Scientists have known for centuries that each person has a unique way of walking. The U.S. Department of Defense and the Chinese government pour millions into funding gait research. The Institute of Intelligent Machines is also doing extensive research into gait biometrics. There are even reports of floors designed to monitor footsteps without people being aware of it. 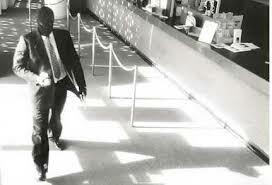 Bank robbers in face masks may think they can escape without being identified. But not so fast… Thanks to automated gait analysis, there might be a way to track the perpetrators. Security systems in commercial establishments may soon incorporate technology which identifies a person by their walk. Gait energy image, a computer vision technique uses video images of a person to create a blurred silhouette that is characteristic of their gait. A human operator links this gait “signature” to a person’s identity, allowing the system to automatically spot that person when they are next caught on film. And phone thieves, beware! There is an Android app for smartphones that analyses and records the gait of the phone owner. If the phone is stolen, the change in walking pattern is registered and could be used to shut the device down. Feeling a bit down? Go for a walk and add a bounce to your step. While regular walks can boost your mood, your gait may also affect your frame of mind. Researchers have studied how negative or positive thoughts affect your gait. If you focus on the negative, your walk may mimic depressive patterns of movement characterized by slumped shoulders, head positioned forward and subtler arm swings. The effect works both ways. An intentionally positive mindset correlates with the happy gait of a bouncier step and greater arm swings. But it needn’t begin with the mind. There are some indications that by pretending to walk as a happy person with a bouncier gait, your thinking will become less negative. This research investigates the power of body language on the mind. Dr. Jacquelin Perry was a physician and researcher who shed light on the complexities of walking. She was a leader in treating polio victims in the 1950s and again in the ’80s when the symptoms of some returned, Dr. Perry died at age 94 on March 11, 2013 in Downey, California. Her death was announced by the Rancho Los Amigos National Rehabilitation Center, where she worked for more than 60 years. Dr. Perry earned wide attention for her work in analyzing the human gait, which she broke down into eight motion patterns governed by 28 major muscles in each leg. Her 1992 book, “Gait Analysis: Normal and Pathological Function,” became a standard text for orthopedists, physical therapists and other rehabilitation professionals. Her clinical observations and descriptions of “loading response” were clear and had implications for many biomechanists. To break walking, running, stair-climbing and other human ambulations into discrete components, illustrated with precise photographs, Dr. Perry used ultrasound studies, motion analysis and electromyography, which traces the nerve pathways through muscle using electric charges. Dr. Perry was an active surgeon until a brain artery blockage forced her to stop operating. She then devoted much of her time to studying the biomechanics of walking. As part of her research, she investigated how muscles and joints behave when spinal-cord injury patients propel themselves in wheelchairs, and how below-the-knee amputees are able to walk with prosthetic feet. Whether you are conscious of it or not, your feet move your body forward to where you want to go at the pace you want to take. They use the least amount of energy by moving in as straight a line as possible, and adjust their movement to avoid pain if you have a painful foot condition. They act as shock absorbers for your body. And unless you are hopping, your feet alternate on the ground as you go forward with the lower one propelling the one in mid-air forward. 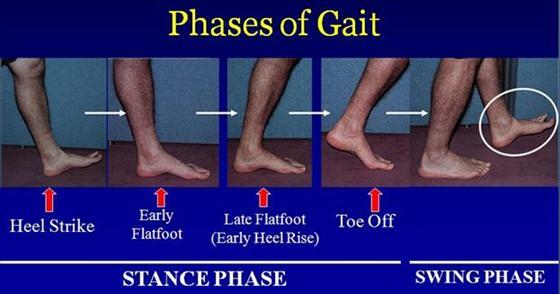 The ‘Stance phase’ is when the foot is on the ground. It comprises about 60% of the walking cycle. 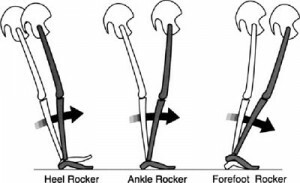 For part of the stance phase both feet will be on the ground for a period of time. The ‘Swing phase’ occurs when one foot is on the ground and one in the air. The defining difference between walking and running is that during running there is a period of time when both feet are off the ground (the ‘Float’ phase). Also, as running is associated with greater speeds, the forces that go through the foot when it lands can be substantially greater than during walking; it is often 4-5 times body-weight during running and even up to 6-7times body-weight during sprinting. 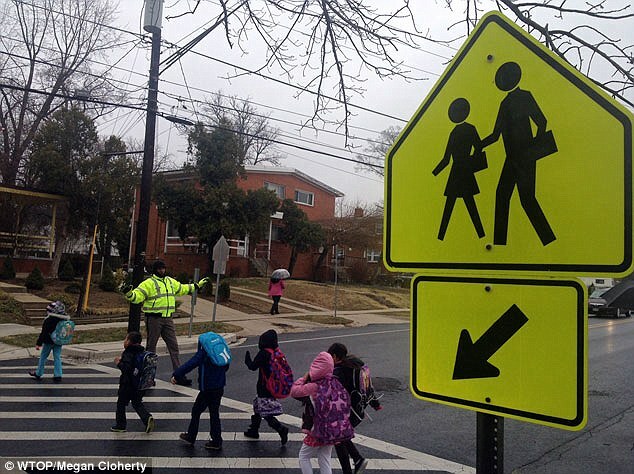 A member of the Basketball Hall of Fame, Adrian Dantley, now spends his days working as a crossing guard helping school children safely across the road in his home-town of Silver Spring, Maryland. The 6-foot-5, six-time NBA All-Star admits it is an unusual next career choice, but he says he is very happy to be giving out high fives and encouragement to the kids. In Britain, about half the local school systems have some sort of informal, incentive program to encourage walking, according to Roger L. Mackett, a professor at the Center for Transport Studies at University College in London. Fear is a factor that keeps some students in London from walking to school. 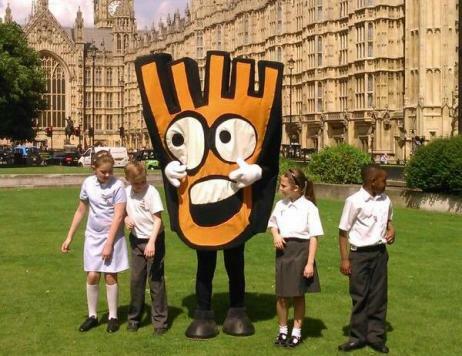 The BBC reported a survey done by the charity Living Streets: A total of 48% of London’s children said “stranger danger” was a concern – higher than the national average of 39%. Incentives to get kids moving vary. Students at two London schools can earn free movie tickets and shopping vouchers by walking to school. Along the route, they swipe cards through machines that record their route. 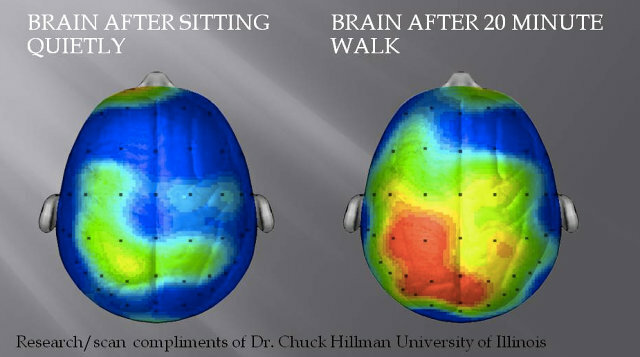 The number of walking students increased by 18 per cent, and more got to class on time. But more inventive is the Living Streets’ Dance Walk program and its character named Strider. In their link below, the pictures are the proof.